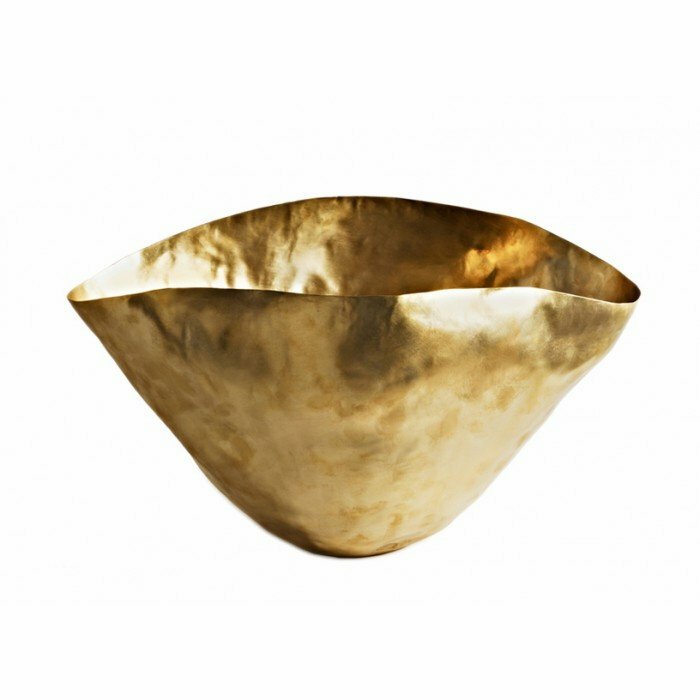 Bash Vessel is formed of brass and shaped by hand into an expressive crumpled form. It can be used as an extravagant flower vase, fruit bowl or as a contemporary sculpture. Each piece is unique in shape and finished with a gold wash. Also available in Large.